Chelsea have reported fixed a £22.5 million transfer fee on its teenage forward Callum Hudson-Odoi ahead of the January transfer window. Reports have it that the English forward is current on the radar of Bavarian club Bayern Munich, and the Bundesliga club has already taken their interest with a £20 million bid. However the Blues have reportedly informed the Bavarian giants that it will take an offer of at least £22.5 million to convince them to part ways with their youngster. Bayern Munich is not the only side linked with the forward as Bundesliga club Dortmund considered the player last summer, only to be shut out by Chelsea. 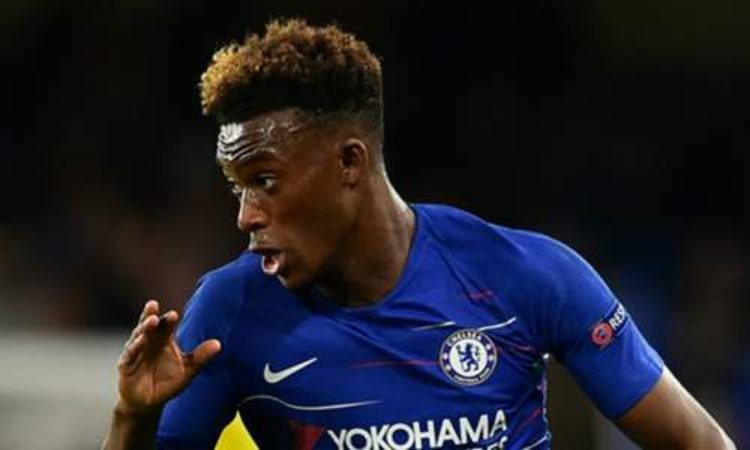 Hudson-Odoi’s terms of agreement with Chelsea expires at the end of next season, but uncertainty has surrounded his future as he has made only one appearance for the Stamford bridge club. Bayern was reported to have made an opening offer of £13 million for the talented Chelsea forward, but Sky Sports News reports that the London based football outfit have informed the Bavarian giants that a minimum transfer fee of £22.5 million will be considered.